In Wuzhong, a massive mosque complex resembling an expo center accommodates the annual influx of worshippers attending Friday prayer. Completed in 2011 and known as the Islamic Culture Center, it sits vacant most of the year, though its grounds play host to various city clubs, such as the Wuzhong Poker Association and the Wuzhong Model Art Troupe. Beijing hopes to create national champions out of the hundreds of Chinese halal food companies already in operation. The industry is highly decentralized, with local companies, mostly without nationally recognized brands, serving pockets of Muslims thinly dispersed across the vast country. China lacks national halal standards – most certification occurs on the local or provincial level – and obtaining internationally recognized halal certification has posed a challenge. 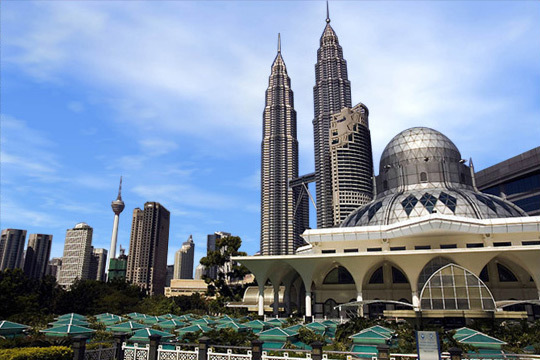 Malaysian halal certification is the gold standard, but globally, halal certification is still a new phenomenon. Many Muslim-majority Middle Eastern countries, such as Saudi Arabia, have poorly developed industrial sectors, and many halal consumers continue to rely on locally made products that they recognize and trust. ← Islamic Revival in China? Somehow not surprising. China is the next Japan who does not know does not want to be second. The halal food initiative by China will give the other countries a run for their money.